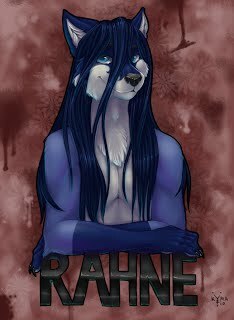 Rahne Kallon is a writer, voice actor, editor and director, whose published work first appeared in the superhero-themed conbook for Rocky Mountain Furcon, followed by several stories published multiple issues of Anthroview and its adult counterpart, Tales from the Neon Phoenix. Originally from the San Francisco Bay Area (but keeping his heart in Vancouver, B.C. ), Rahne began writing in early 2005, and has been ever ambitious in his quest for literary refinement. As a writer, his work is most recognizable for recurring themes of relationships and gay romance. On the voice acting side, Rahne gained attention for his audio dramatic adaptation of Cruelty, which was directed, edited, produced and voice acted by him (and others), based on the graphic novel by Rukis. He has since been hard at work on other voice over projects, including adaptations of his own stories, as well as a series based around his most popular characters. As someone who lives and breathes creativity, Rahne is rarely found not working on several things at once, and with such passion, energy and ambition, his quest for literary refinement won’t end anytime soon.